Kōhai Grace is one of a new generation of Māori artists who use traditional art forms such as weaving in contemporary contexts. 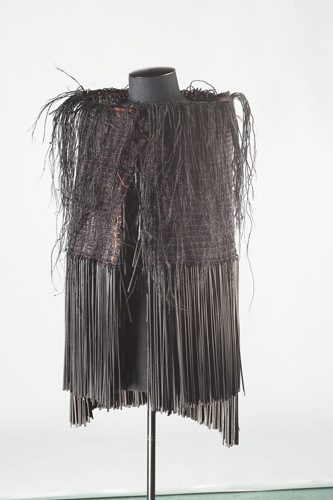 ‘Tui cloak’ appeared in a 2004 exhibition entitled ‘Toi Māori: the eternal thread’ at Pātaka art gallery and museum, Porirua, Wellington. In the cloak, copper is used along with traditional materials such as flax fibre and feathers.